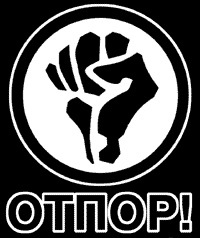 OTPOR is an internationally active, Serbia based organization, leading, organizing and coaching young groups into non-violent protest activities. They are rumored to be very active especially in Egypt and financed by Soros. More information is available on internet. All should be aware ! IF WE DONT LEAD OUR OWN YOUTH, SOMEBODY ELSE WILL !